Is there a better alternative to Box Notes? Is Box Notes really the best app in Project Management category? Will Box Notes work good on macOS 10.13.4? 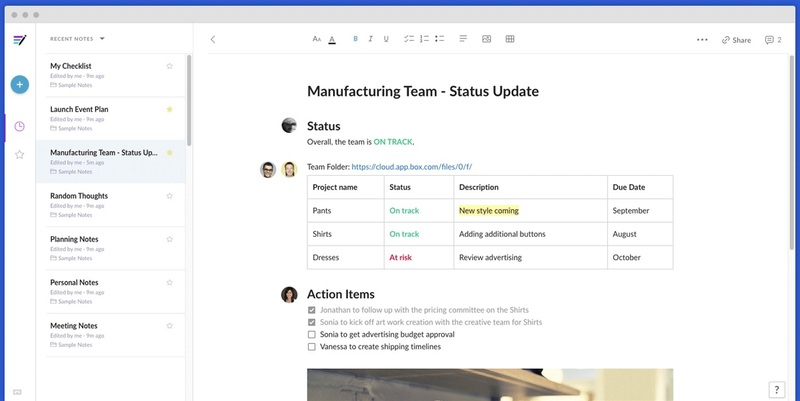 Box Notes is simple, secure file sharing and collaboration from anywhere. Box Notes needs a review. Be the first to review this app and get the discussion started! Box Notes needs a rating. Be the first to rate this app and get the discussion started! Note: price is that based off of a monthly subscription. Pricing can be viewed here.